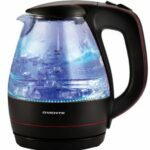 The traditional tank water heater heats and stores water for home appliances and fixtures. Fundamentally, a water heater is an appliance that converts energy to heat and transfers that heat to water. It’s connected to a cold water supply pipe and has an outgoing hot water pipe—or system of pipes—that supplies heated water to faucets and appliances. The majority of water heaters are fueled by natural gas, though propane-fueled and electric water heaters are not unusual. Where natural gas is available, it is a much less expensive energy source than electricity. A gas-fueled storage water heater heats water by means of a burner beneath the tank. 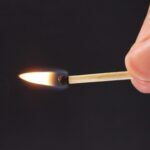 Natural gas (or propane or kerosene, in some cases) is piped to a gas valve. 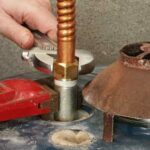 Depending upon the age of the water heater, it may be served by a couple of different types of valves, as explained quite expertly in the following video. A thermostat that detects the temperature of water in the tank regulates fuel delivery to the burner, which is ignited by a pilot light or spark ignition. A vent collects toxic emissions from the burner and pipes them up through the tank, out the top, and normally up through the roof. Some newer, high-efficiency water heaters have fan-assisted vents that can be piped out through a wall. Here is a terrific video that shows all of the parts of a gas water heater. It even includes what you would see if you cut-away your water heater and looked inside. 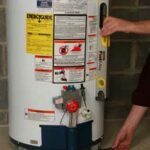 If nothing more, this will give you a clearer idea of why it’s a good idea to drain some mineral-heavy water from the tank once or twice a year (see How to Flush or Drain a Water Heater). Because the tank is under pressure, hot water exits through the hot water outlet at the top. When the hot water leaves, cold water enters through a diffuser dip tube that extends down inside the tank. The cold water pipe normally has a shutoff valve. A magnesium or aluminum anode rod utilizes the principle of ionization to minimize the water’s corrosive elements, which can significantly shorten tank life. The larger the anode, the longer a tank is likely to last. The drain valve at the water heater’s base is used for draining the tank or flushing sediment out of it. 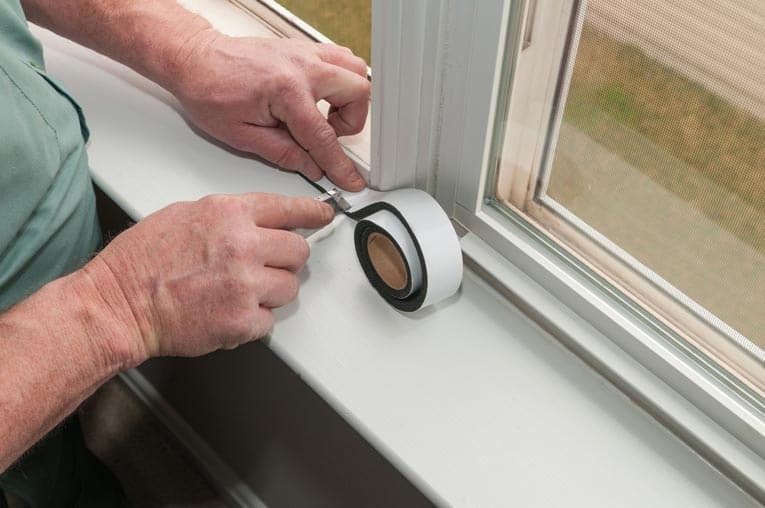 This important maintenance step should be done once or twice a year, according to the manufacturer’s recommendation. A temperature-pressure (TP) relief valve near or on the top of the tank opens automatically if temperature or pressure exceeds safe levels. This valve should be tested at the same time the tank is drained, according to the manufacturer’s instructions. With an electric water heater, a heavy electrical cable delivers energy to heating elements. An electric water heater doesn’t create combustion gases, so no vent is required. It typically has one 5,500-watt or, for faster heating, two 4,500-watt elements. Separate thermostats control each element, cycling on and off as needed. 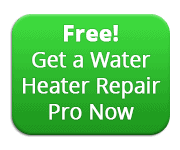 Here is a very helpful video that shows how an electric water heater works. It includes tips for care and use.